Strategic initiatives fail far more often than they succeed despite the massive amount of resources organizations devote to the development and execution of these strategies, according to Vadake (V.K.) Narayanan, professor and director of the Center for Research Excellence at Drexel University’s LeBow College of Business, and Liam Fahey, executive director of the Leadership Forum Inc. The two co-authored the article “Seven Management Follies that Threaten Strategic Success” that was recently published in the Journal Strategy & Leadership. In the article, the authors claim, all too often, people blame strategy failures on common factors such as failing to listen to customers, not paying attention to the expected economic returns relative to investment, not building quality into the product, neglecting the people side of business and poor implementation. But they believe that actually a set of common errors committed by leaders and managers throughout the strategy process is what leads to critical failures. 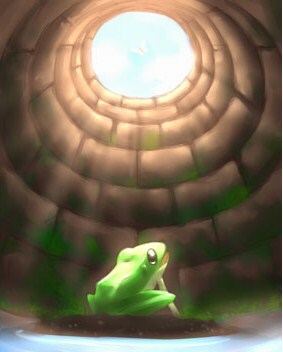 Acting like a frog in the well: What you know is not all there is. A common mistake in seeing insights only from existing customers. Slaying Genghis Khan’s hawk: The warrior killed the bird that saved his life. Be sure to comprehend the situation before you undertake action. Mistaking a piece of rope for a snake: In Hindu philosophy, this represents accepting a false but convincing perception of reality. Make your underlying assumptions explicit. Not chasing Gretzky’s puck: Like hockey legend Wayne Gretzky, do not chase the puck but anticipate where it will be. Craft alternative futures and work backward to understand your options. Expecting a dog to fly: Personnel decisions are often wrongly made on the basis of whom we know rather than who can do the job. Communication in one direction: Just because management repeatedly asserts its strategic intent does not mean it has been understood or accepted. Failing to critique the emperor’s new clothes: Insist on early indicators of progress in strategy execution. Embrace uncomfortable news and adjust. The seven mistakes managers should avoid were also included in the latest edition of Market Street, a magazine published by Drexel’s LeBow College of Business.